Marjorie Courtenay Latimer was born on February 24, 1907 in East London, South Africa. Her parent (I assume her father) was a station master for South Africa Railways. Marjorie always loved nature. When she was 11 she decided that she would be an expert on birds. She started school at Holy Cross Convent, where her love for natural history grew. One of the sister’s there has a collection of fossil fish that fascinated Marjorie. When she finished school, there did not seem to be jobs in natural science, so she was going to become a nurse. Fortunately, the East London Museum was looking for a curator in 1931 and Marjorie took the job. She was 24 at the time. 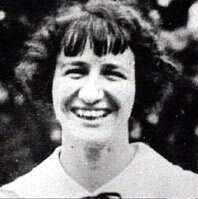 Marjorie Courtenay Latimer. Photo from PBS. When she started there, the museum’s collection only had a few birds, a pig, and some photos, so Marjorie quickly began collecting everything she could from places she visited. She even included her mother’s beadwork collection dating back to 1858 and her aunt’s dodo egg! She collected fossils from nearby field sites as well. A coelacanth. Photo from National Geographic. She sent a description and a sketch to a nearby ichthyologist (a fish expert), James Smith. He was stunned! This fish was a coelacanth – a fish that had been extinct for almost 70 million years. These fish were still alive! He excitedly wrote her back for more information. He named the fish Latimeria chalumnae after Marjorie and the location where the fish was caught. 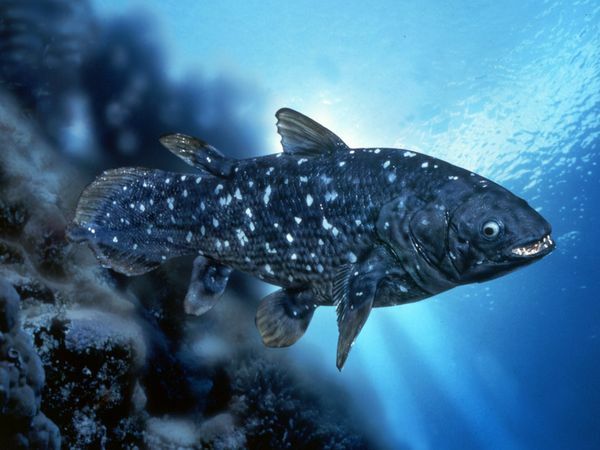 It took another 14 years before a second coelacanth was found, this time near Madagascar in 1952. The sketch Marjorie sent to James. Image from PBS. Marjorie retired from the museum and received an honorary doctorate from Rhodes University 1973. She lived the rest of her days loving natural history in all its forms. And if you like posts like this one, stay tuned for an important announcement later in the week! This entry was posted in English and tagged Chicks that Dig, Coelacanth, Marjorie Latimer, Women in Paleontology. Bookmark the permalink.